America’s most dangerous highways have three things in common; they’re among the longest in the country, the busiest, and all but one run through Florida, according to a study conducted by the Auto Insurance Center. Risky motorist behavior and frequent construction are aspects of these roadways that contribute to the shocking number of deaths per year, but some locals who take these highways frequently point to laws and infrastructure as the true cause of the dangerous conditions. Here are the top five deadliest highways in America, the problems attributed to them, and what authorities can do to make them safer. 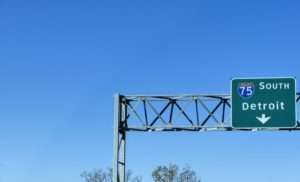 The I-10 runs through the south of the country, starting in California and ending in Florida, but it is notoriously dangerous around Arizona. Some attribute the freeway’s risks in the Grand Canyon State with a conspicuous lack of barriers. Median barriers are used on busy stretches of highway to prevent crossover collisions, such as those caused by an intoxicated driver or a motorist who loses control of their vehicle. Although median barriers are a relatively simple fix, there are large stretches of road in Arizona with a stark lack of this standard protective measure. Furthermore, the Arizona Department of Transportation has come under fire earlier this year for ignoring resident requests for median barriers, instead putting up a sign that states “No Median Barrier,” after the death of two women involved in a cross-median crash. The sign was installed after a judge ordered the state to pay $47 million to the families of the two women who had died. 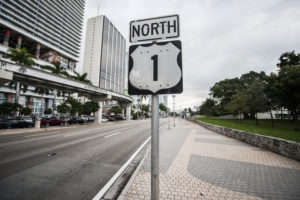 Although the I-95 runs through 15 states, the most dangerous stretch of it is in Florida, according to the National Highway Traffic Safety Administration. Residents blame Florida’s lax laws around distracted driving. Although Florida has laws designed to discourage motorists from texting, using their cellphone, or participating in any other distracting behaviors while driving, it’s very difficult for officials to enforce them. In Florida, distracted driving is a secondary offense, meaning a motorist must be pulled over for a primary offense traffic violation before a law officer can ticket them for distracted driving. This secondary offense classification has come under fire by locals who think it is not strict enough to deter drivers from risky behavior. 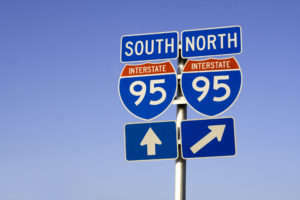 Other states that the I-95 runs through, such as Georgia, classify distracted driving as a primary offense, making it easier for police officers to enforce the law on their roads. The I-40 is the third longest highway in the United States, sprawling through California, Arizona, New Mexico, Texas, Oklahoma, Arkansas, Tennessee, and North Carolina. Earlier this year, the I-40 achieved a new level of notoriety for distracted driving and rubbernecking after a series of car crashes that involved at least 130 vehicles, resulting in parts of the I-40 around North Carolina being shut down for hours. Although possibly most infamous due to this accident, the I-40 has drawn a special amount of ire from Tennessee. Rockslides and sinkholes are shockingly prevalent along the I-40 in that state, due to the state’s rugged terrain, and distracted driving near the North Carolina line certainly doesn’t help. Officials in Tennessee are working to prevent rockslides after a number of accidents. In addition, state officials launched a campaign against those who are distracted driving by operating a semi-truck to spot people texting and committing violations on the most hazardous parts of I-40. The I-75, which begins near Miami and ends near the Canadian border in Michigan, is another dangerous highway that meanders through Florida, and some point to construction zone laws as a major contributor to accidents on it. Unlike many of the other states the I-75 crosses through, Florida has relatively lax laws around speeding in work zones. Florida motorists speeding through construction zones will face double the usual speeding fine, but that is only if workers are present and a sign is posted. In neighboring Georgia, which the I-75 also crosses through, the enhanced penalty for speeding in work zones can be 12 months in jail. Even more troubling than the enforcement is the legal speed limit established for construction zones in Florida. The average speed limit for construction zones in the county range from about 45-55 mph, but in Florida they are usually 60-65 mph. A driver must be going dangerously fast through a construction zone in order to be fined for speeding. 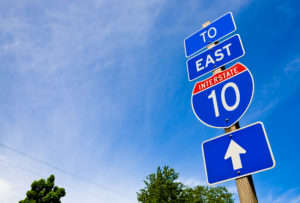 The U.S. Route 1 is another major roadway that runs along the East Coast, ranging from the tip of Maine to the south of Florida. U.S. Route 1 is a smaller, scenic alternative to I-95, which is now the main interstate highway on the East Coast. As a result, U.S. Route 1 often runs as a local road in portions that cross through more rural areas, creating a hazard for pedestrians who must cross it. This month, transportation officials in the Florida Keys met to discuss fixes to make this southern portion of U.S. Route 1 safer for pedestrians, with proposals including improved crosswalk light signals. Officials hope that adjustments to the local road portions of U.S. Route 1 will prevent future pedestrian accidents in the Keys and make the roadway as a whole safer. 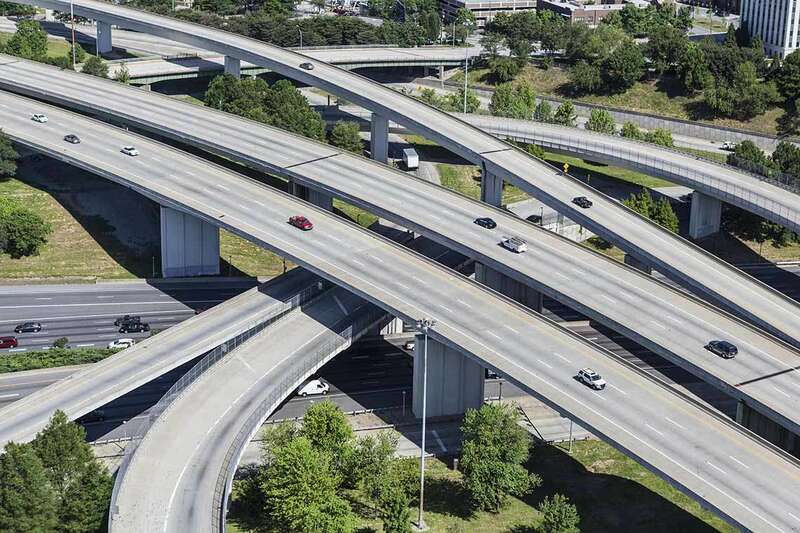 These five deadliest highways did not earn their dangerous reputation overnight, and it will take time and effort to make these major roadways play host to fewer car accidents. 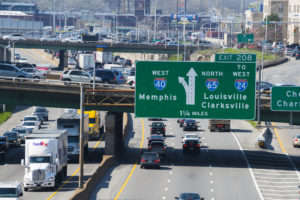 However, locals hope that by shifting laws to become stricter around traffic violations and reckless motorist behavior, as well as improving infrastructure, state officials can enforce an environment of safety on the road and hopefully change the way people travel on the nation’s most essential highways.